Gun control activist David Hogg mocked President Trump’s call for armed security in places of worship the day after a man stormed a security-free Pittsburgh synagogue and killed 11 congregants. Hogg chose not to deal head-on with Trump’s assertion that the ability for someone to shoot back could have completely altered the outcome of the attack. Rather, he mocked the idea of a “good guy with a gun” altogether, suggesting it is just part of a larger effort to sell more guns. 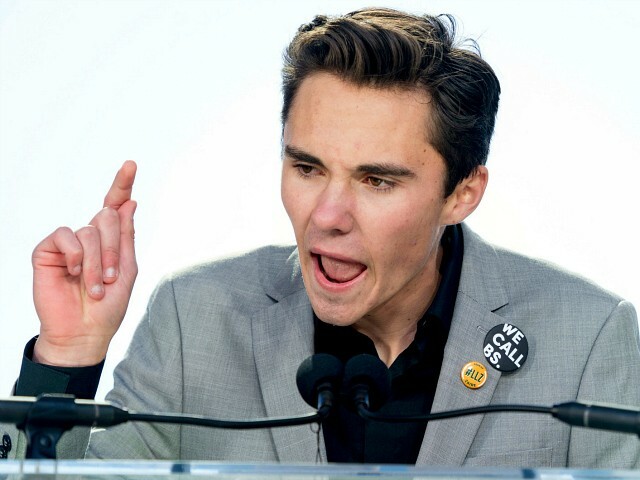 Ironically, Hogg gained national attention as a gun control proponent when his school, gun-free Marjory Stoneman Douglas High School, was attacked on February 14, 2018. The attacker struck Building 12 on campus and there was no one inside the building who could shoot back. Moreover, the one armed deputy outside the building–former Broward County Deputy Scot Peterson–stood outside the building rather than entering to confront the attacker. As with the Tree of Life Synagogue attack, the attack on the Parkland high school could have completely different if the attacker had been met by a good guy or good woman with a gun.